Hikers in New Hampshire's White Mountain National Forest often hit the trail less prepared than they should be, according to a survey that gaged readiness by how many of 10 essential items the hikers brought along. Which means hikers everywhere probably lack the same things, though experience obviously changes that. Young and inexperienced hikers were most likely to lack multiple items recommended by the State of New Hampshire's HikeSafe program, according to a paper Wilderness&Environmental Medicine. Each year, scores of imperiled hikers require search and rescue missions in the state, but little quantitative research exists on how and why they end up in trouble. "One of the goals of this paper was to figure out where are the gaps, what are people missing, and what are people good at," said Ryan Mason, lead author of the paper and fourth-year student in the Warren Alpert Medical School of Brown University. Mason did the research as part of his scholarly concentration during medical school, with advising from co-authors and emergency medicine doctors Selim Suner and Kenneth Williams. 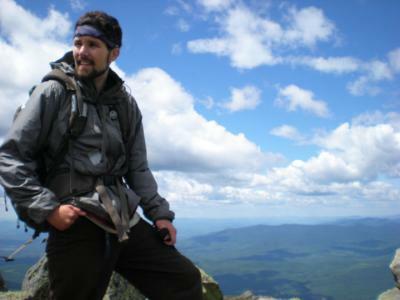 To compile the data, Mason surveyed 199 hikers in the summer of 2011 at the heads of three trails of varying difficulty in the national forest, asking them 22 questions about what gear they were packing, whether they had told others of their hiking plans and checked the weather, and why they packed or omitted what they did. Overall, Mason found that only about 40% of hikers brought seven or more of the 10 essentials, his cut-off point for preparedness. 18 percent of hikers packed all 10 items. Mason said it was encouraging that almost 40 percent of hikers were somewhat prepared in that they brought more than seven of the 10 items but some are clearly less prepared than others. As is common in young people, they were the least concerned about risks. Among the 57 hikers in the 20 to 29 age group, only 17 were prepared, while among the 51 hikers aged 50-59, 29 were prepared. Among hikers who reported having "a lot of experience," 54 percent proved to be prepared, while among hikers with some, little or no experience, only 29 percent were prepared. the most commonly omitted items from the list were whistle (57 percent omitted one), compass (54 percent), and a fire starter (48 percent). While many hikers did not bring a compass, 122 out of 199 brought GPS technology. But most of those hikers (95 out of 122) brought GPS-enabled cell phones, which have little or no reception within the park (even dedicated GPS receivers can sometimes fail there). In other regions of the country, different equipment might be needed for a safe hike, Mason noted. While this study only examines New Hampshire, Mason said that rescue organizations often perceive most hikers as under-prepared. In Rhode Island, Suner said, he has seen emergency department cases involving wilderness bikers who weren't fully prepared, and suggested that the overall principle of properly equipping oneself applies to all outdoor adventures, including boating. With a better understanding now of where the gaps in hiker preparedness are, Mason said, further education could help the numbers improve and keep unfortunate injuries and costly search and rescue missions to a minimum.